This was our first home stay family. 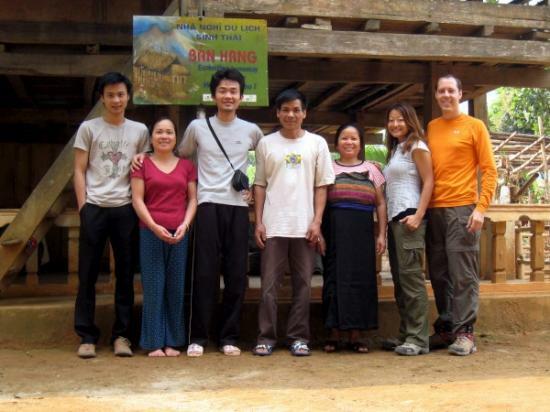 From left to right, our driver Viet, our local guide/cook Doc, our guide The, and our host and his wife. We wrote down their address so we can mail them a copy. They need to journey all the way to Mai Chau to deliver/pick up mail since there is no local service.